NOW, in Arma II, I'm releasing a full version of this campaign along with full version of [Nightstalkers] Shadow of Namalsk. Campaign featuring 22 missions with a unique atmosphere, situations, scenes and excellent music! A part of this campaign is also reworked prologue from ArmA 1 version and if you were angry about how prologue ended in ArmA 1, don't worry, you are now able to find out more, what happened! Edit 17.06. 2011: Campaign is also playable now in cooperation mode! More information here or on the official website http://www.nightstalkers.cz! Edit 18.10. 2012: Huge update for Namalsk Crisis called "Pathfinder", check the bottom of this thread! Edit 20.12. 2012: Small update (2.3) for Namalsk Crisis Update 2 aka "Pathfinder" released! Check the bottom of this thread! Edit 5.7. 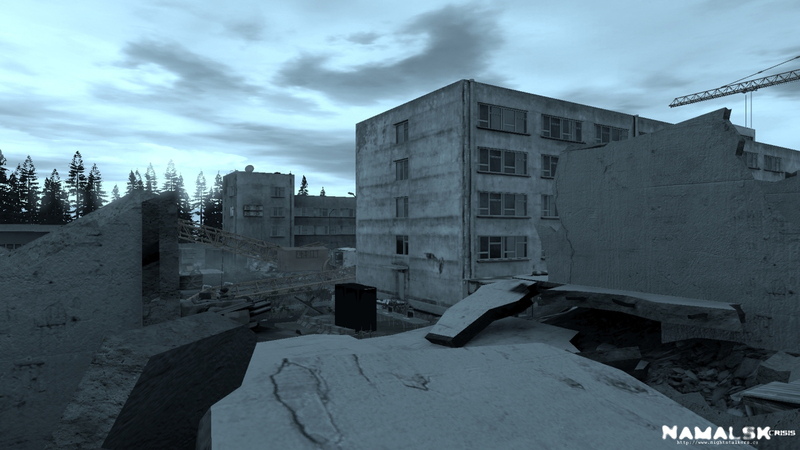 2012: Medium-sized update (2.4) for Namalsk Crisis Update 2 aka "Pathfinder" released! Check the bottom of this thread! Counter on the official website just stopped and that means..
Tamika Maclemar just landed on Namalsk, trying find out, what happened! Join her and discover secrets of Namalsk! 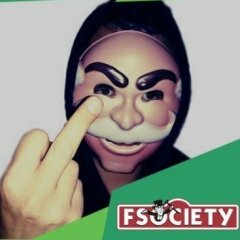 Fight in unique world's superpowers co-operation against evil corporation NAC! Namalsk Crisis is a SP/MP campaign for Arma II or Arma II Combined Operations with over 22 missions. You will be a part of the conflict on the island called Namalsk. Namalsk become as a target for an unknown corporation called NAC (Namalsk corporation). After several months of researches on an unknow alien object, which they found on Namalsk, with a very dangerous experiments, armies of Russia and USA are trying to stop them. Unfortunately, they don't know with whom have honor. You are able to see the whole conflict from different sides and different people, for example members of private scientist and military group called Nightstalkers, special forces team of USMC, with leader Ryan Goben or also Russian specnaz attack group with leader Yevgeniy Pecharov! You will face different situations, missions have a very strong atmosphere with wisely chosen music and various sound and graphic effects. Situation is described in ingame diary notes and task descriptions and also, you can find a lot of information on the main website - http://www.nightstalkers.cz (factions, Namalsk history)! Campaign was created mostly under normal Arma II, anyway, you can play also under Combined Operations version (Arma II + Arma II OA). 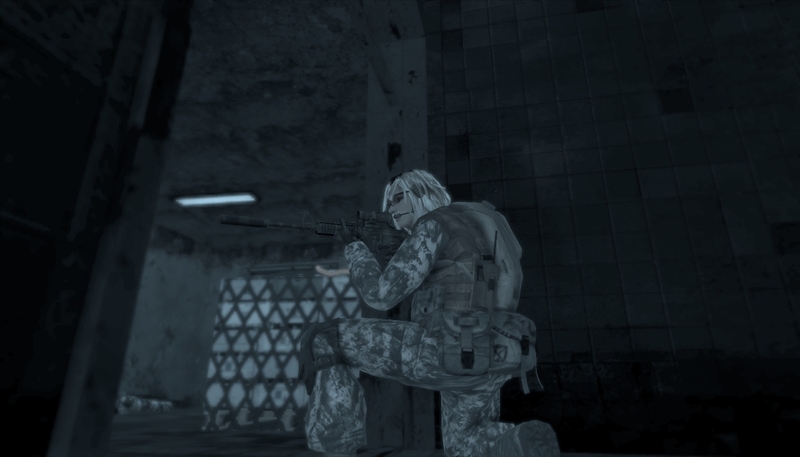 Campaign is fully depending on the content of the modification called [Nightstalkers] Shadow of Namalsk. So, campaign is released with this modification together in version v1.0, more informations about everything about this mod and its unique features, visit http://www.nightstalkers.cz/en_index_son.php or scroll down. If you are not a fan of singleplayer missions, I have news for you, "Update 1" aka "Namalsk Cooperation" is featuring the whole new dimension of Namalsk Crisis campaign - multiplayer version - More information on the official website http://www.nightstalkers.cz! Along with campaign release is also included unique CTI SP/MP mission (based on Benny's excellent warfare mission), set on Namalsk, with edited sides and additional functions. This warfare mission featuring united forces of USA and Russian Federation, trying to stop NAC and their experiments and the NAC, which are trying to hold Namalsk and their researches with everything. For more detailed information about this wafare mission, continue here > http://www.nightstalkers.cz/en_nc_warfare. Through whole campaign, you will have a task to find highly classified enemy intel about what NAC actually doing on Namalsk and what's going at all there. Once you will found it, mission will print you access code into rpt file[/rul] or you will just need to remember it / copy it from diary note (there will be all instructions for using this access code + of course that intel). But because of amount of information there, I have managed to create a special section on the official website called NAC HQ, you will be able to use your code from mission / rpt log file and read all information without to be actually ingame, much better formatted. - Unique warfare mission focused on showing story from the campaign! Ok guys. Just back to the music discussion for a sec. I really recommend people who automatically turn off music (myself) don't. The music isn't running the whole time and Sumrak has done a brilliant job of an even dose of music and ambient effects. The amount of times i have been squeezing my sphincter walking around in wait of something freaky to happen or have literally soiled myself is getting hard to count. And itâ€™s all thanks to the mood set by effects and music. Sumrak has put a lot of work into this campaign and to be honest (and Iâ€™ve played most of the ones on offer, even starred in one ;) ) this campaign is right up there with say, FDF in terms of creativity, immersion and overall quality. Namalsk has never looked so good. * Although campaign was partly developed in Arma II CO and also tested in CO, gameplay could be little different under Arma II classic or Arma II CO.
As you probably read about Namalsk Crisis campaign above, this modification is the key part of the Namalsk Crisis campaign. 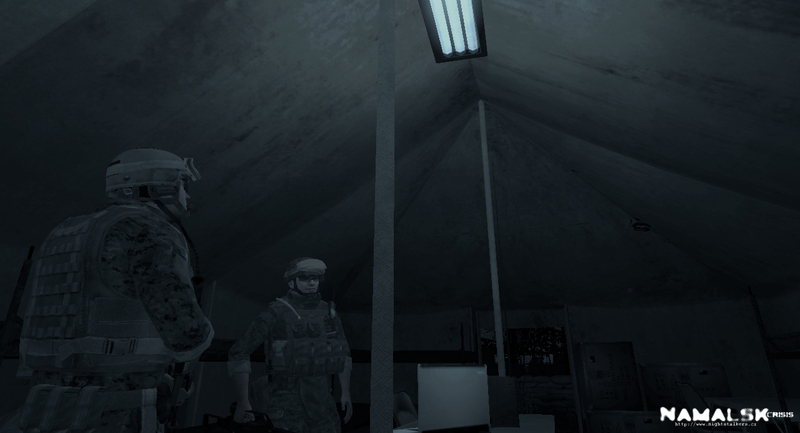 From the first ArmA 1 version, I have changed and added a lot of things to this modification. I have to admit, I never thought, that I will be able to create stuff like you can see in this modification. Because of its functions and content, this modification could also provide to Arma II S.T.A.L.K.E.R. fans basics for creating missions with S.T.A.L.K.E.R. atmosphere in Arma II. Modification was developed mainly in Arma II classic, so, some things are not changed - mainly because of not enough time and also because of compatibility in Arma II and Arma II CO.
, in the newest version! The main "bad guys", defending their researches and their device with stolen Russian vehicles and weapons. , Michael Zaytsev, Peter Trepov, Alex Nuvikov and commander Maksim Solovyov. These strange creatures showed up from nowhere after NAC's experiments and you need to be ready, because they don't want to play with you! Including well known stupid zombies (using excellent anims by TeaCup - Thanks a lot!) and fast, deadly, invisible bloodsuckers (with 3 skins!). : Modules for chaging mission atmosphere. : Module for controlling the unique underground of the object AII. I think, you know what Namalsk is and also, that Namalsk is the first island, which have an underground object. With this module you are able to fill this underground with different kind of small objects and also, you are able to control underground light system.
? This module is also offering single function (for not so dynamic missions). : Module for spawning and controlling mutants. One of the factions in this modification is the Mutant faction, these strange creatures showed up from nowhere after NAC's experiments and you need to be ready, because they don't want to play with you! This module is for a random spawning of mutants in your mission, you can turn it off whether you want and protect with easy method important persons in your mission against these creatures. On http://www.nightstalkers.cz/, I'm trying to describe everything, what you need to use functions of the [Nightstalkers] Shadow of Namalsk modification. and Bohemia Interactive for great game! I really recommend to you to read everything here, mainly installation instructions, but also other important notes, thanks! Last few words, all stuff here was created mainly by 1 person in his free time. Thanks for all your hard work and for sharing it! I cleared it with Sumrak, he's not interested. I like a challenge, but this is just ridiculous.. edit/ It might be that i have ACE running, but probably not..
Love the map, shame I won't be able to get through the SP without my usual mods - The AI is seriously tough, didn't even get past the first part without them bum-rushing me completely, even the helicopters turned around, haha. The atmosphere on the map is brilliant, epic job mate. You do know that you can adjust the difficulty under arma's options right? Sumrak how DOWNLOAD Namalsk island v1.11 only ,no In ONE package Namalsk Crisis campaign v1.00+ [Nightstalkers] Shadow of Namalsk v1.00? I forgot on one thing to mention, to recommend you to NOT play with any other (gameplay-changing) mods (we have done a lot of work in testing and focusing to have all working on original versions (CO or Arma II standalone) only with this modification). Maybe it is all working properly - just saying, that I can't guarantee, it will be all same as we tested it. right side of the Lubjansk harbour is empty..
, although they have very small groups in the harbour and it can be done relatively easily without being spotted (and it is also possible in all next prologue missions - yes, I tested it on different levels of difficulty), they have of course also stronger patrols near harbour. I think, if you will be enough careful, you should be fine. Sorry, this is not available now, I did a lot of changes, I really don't know, if I will be able to release standalone version (it means splitting up everything I have done together now). For now, Namalsk v1.11 is only in this completed package. I don't have any markers showing enemies (if you have any, that's probably because of difficulty level), I have only one big marker on the whole map (its an enemy area) and 2 '!' markers for showing possible enemy presence (these '!' are on strategic areas). And by the way, I have just let Tamika standing on the misson beginning (on the expert difficulty), it was fine, I did not get shot... running only this modification and CO, newest version. Derp, yes. 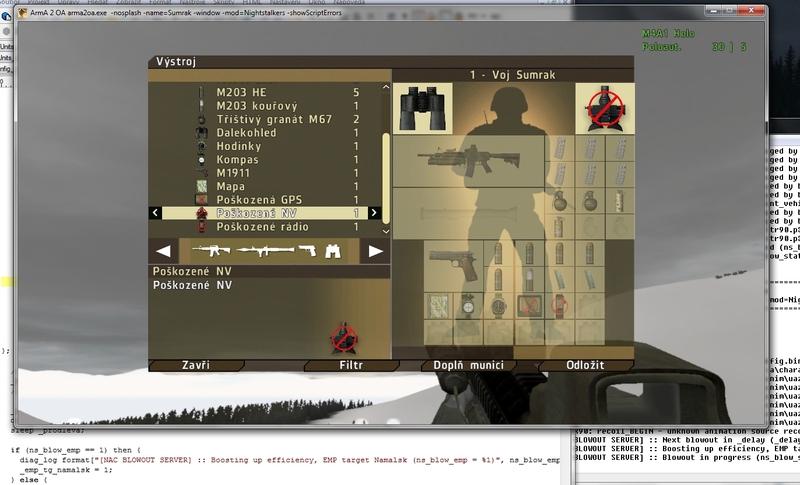 As I said, it's because of the addons I use - They completely change the AI behaviour, making it impossible in CQB. It's not working as the map was intended. It's my own fault but the campaign atmosphere seem brilliant, very well done. Then one might argue "Turn them off" but ArmA without AI addons is terrible. I have just finished the 4 prologue missions. That's called infiltration ! Tamika alone in the dark woods, looking for a ruined city in the fog while avoiding Russian patrols... epic ! thinking that putting enemies 5 meters behind aiming at your head is challenging - is wrong, it's a bad design once again. The campaign seems well polished and well-thought-out. This is totally unique: The island, the units and the missions just fit together perfectly. Getting something like this for free is just great ! Thanks for your hard work Sumrak ! Looks like if you press Esc while a Bloodsucker (maybe Zombies too) hits you and you see the claw mark will freeze the game...at least for me. Oh, is it ok to use some of your functions/scripts in my own mission ? Is there a trick to get the 3 different skins for the bloodsuckers ? Or is it just random by placing them in the editor ? So, I don't know, if, for example, your helicopter is being shot down - by scripts - you can't do anything about it - you survive - and you just need to deal with it and with consequences, its a bad mission design? In the real world, when soldiers are just surprised by an unknown fire - from somewhere, isn't it just the same situation? Or it can be anything else than a war, just moment of surprise? I really don't know, if I could do every mission, just like take this objective, enemy is waiting for you.. why enemy can't be sometimes ahead? Oh, I have never get freeze, but I will definitely try it! Edit: Tried it and it is fine, no freezing, have you checked, if it is not really only some random event? Can we keep all parts of this active with our regular launch/addons or should we create a seperate launch for it? Yes this really is an awesome effort so far im loving it!!! Sooo much atmosphere, it's crazy! The music for the intro of the first mission 'Coast 1' is brilliant! I love the way it interacts with the lighthouse search light!